A cross between a nerine and an amaryllis, nice and showy with up to 10 vibrant soft pink and white flowers per stem. Hardy. Colour match with other pinks and light pastels. x1 bulb. Plant straight away in 9cm pots to grow on before planting out after the last frost. Move pots/containers/borders from April. Allow two seasons to establish well. 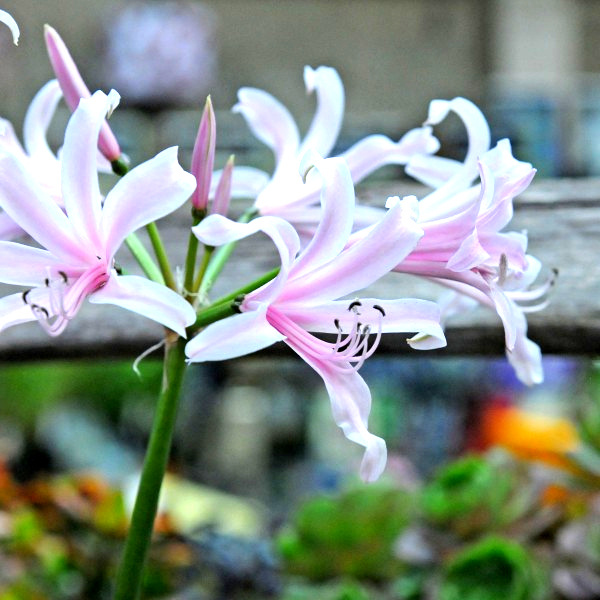 Nerines are summer-dormant, with leafless stems that have funnel-shaped flowers in autumn. Strap shaped vibrant green leaves appear after the flowers!